I have tried to make this recipe for a while now but finding the right time was extremely difficult. Every time I went to the grocery store I was only able to find really green plantains that I would leave on the kitchen counter to ripen but they would either take too long or ripen right away. It was extremely frustrating! 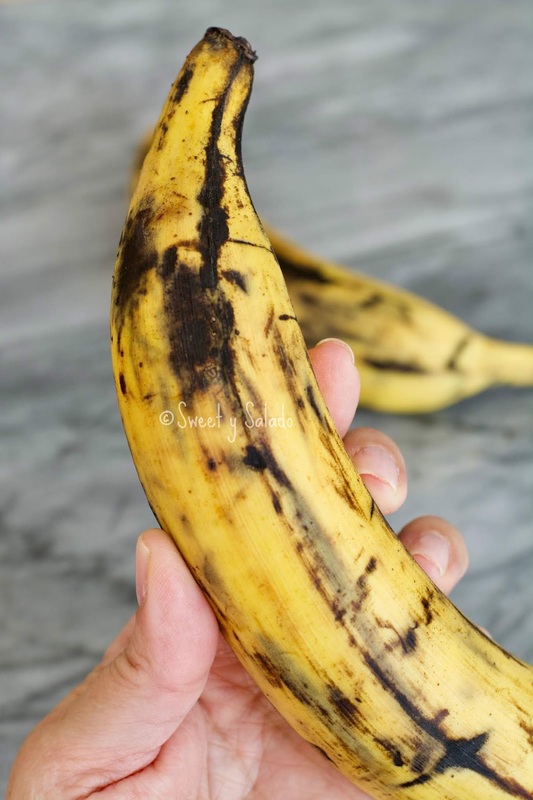 And here is the thing, if you want super sweet and soft tajadas or baked plantains, you need to let them fully ripen, until you start seeing black spots all over them. I have had tajadas (fried sweet plantain chips) that were too dry and the reason is because they did not let the plantains ripen enough. And they not only come out dry but tough to chew as well. Not pleasant to me at all. 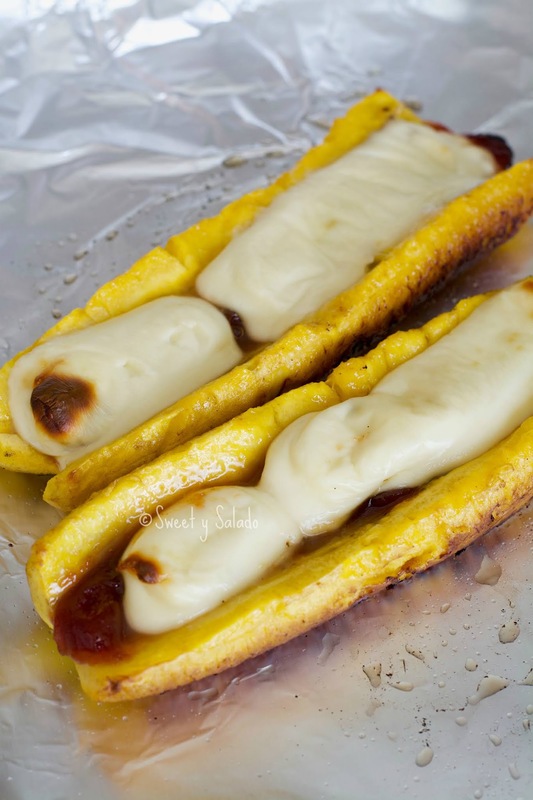 But I finally succeeded and was able to make this wonderful recipe that is very popular in Colombia because the sweetness of the plantain and guava paste with the milky, salty flavor of the cheese is simply remarkable. 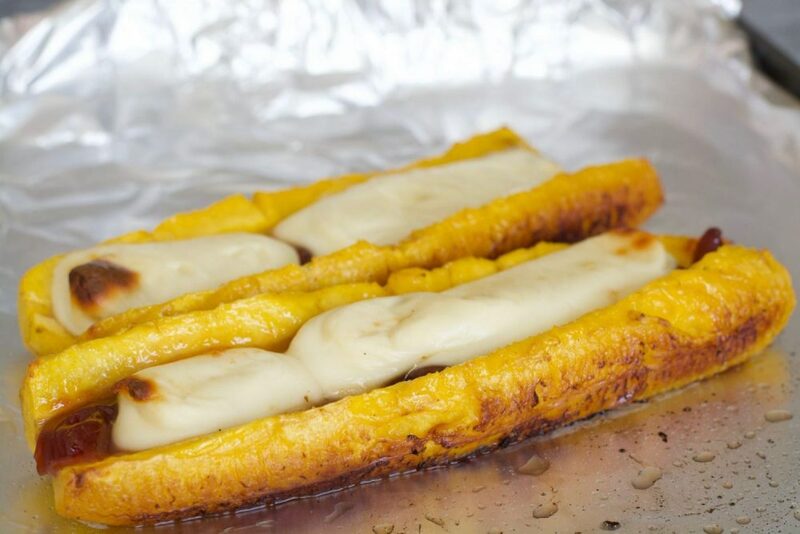 Many people usually make these over the grill but I have had better success by searing them in a pan first and then putting them in the oven to let the guava and cheese melt really well. Heat oil and butter in a large pan over medium heat. Sear both plantains on all sides until they turn golden brown. Remove from the pan and let them cool slightly. 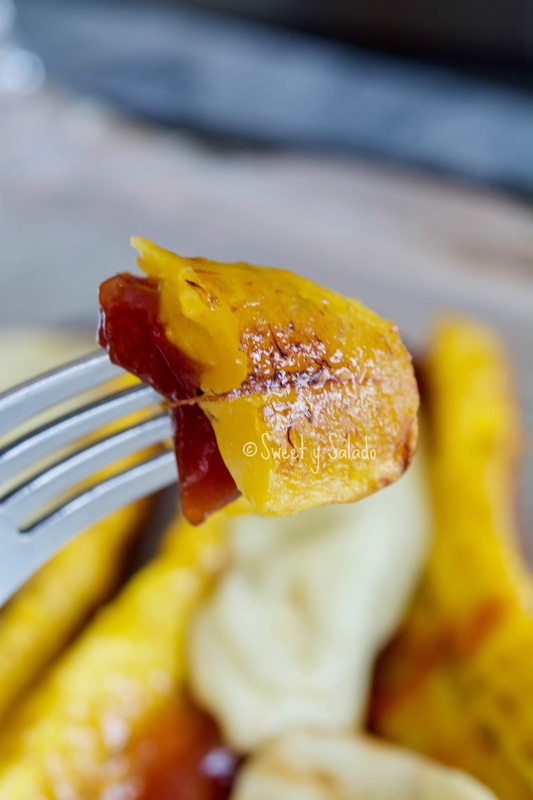 Cut the top of the plantains lengthwise (do not cut them all the way through) and fill them with the cheese and guava paste. 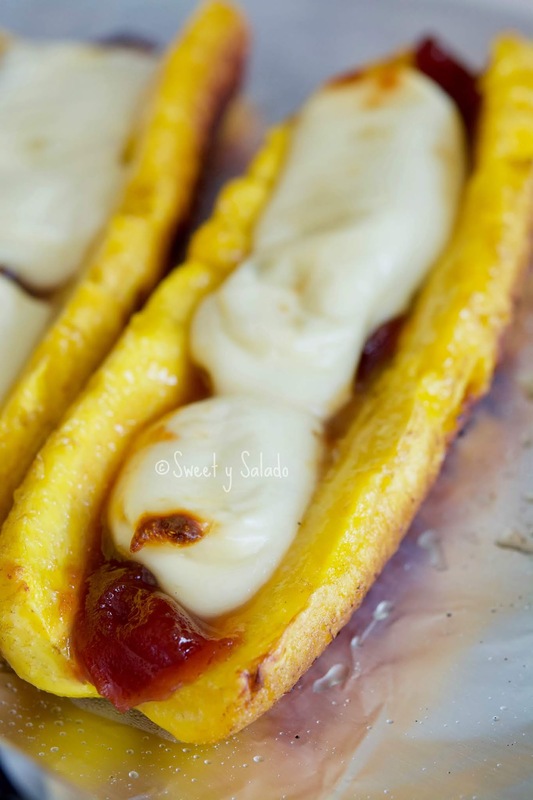 Place them on a baking sheet and bake them until the cheese melts completely, about 20-25 minutes. Serve immediately. Instead of Mozzarella​ cheese I use Muenster it melts better than Mozzarella and I feel it has more flavor!